Brothers, Sisters and Friends of Fatfox9 and the RhE. 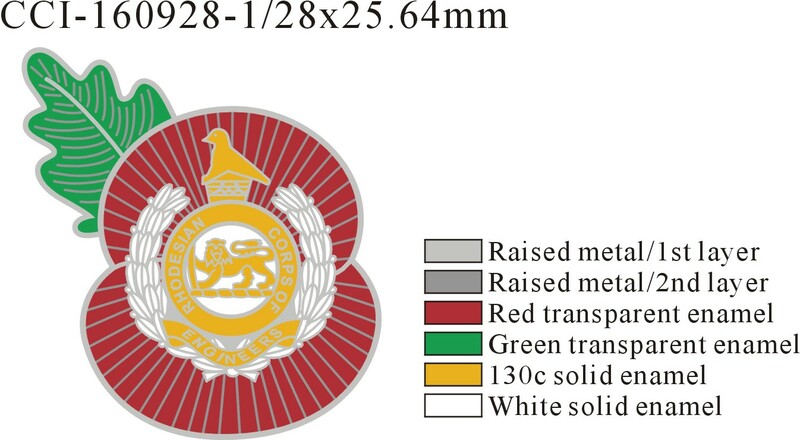 I am having 100 of these poppy pins made up with the RhE Cap Badge superimposed. Anyone interested in having one before 11th November please order ONLY via fatfox9@gmail.com. Prices are as follows: UK via Royal Mail £3.20. RSA via Royal Mail ZAR70.00. When ordering please include your full shipping address. Ideally if someone in SA would take a bulk order we will all save on international shipping costs. Time is moving on so please place your orders as soon as possible to avoid disappointment.